Entering play on Friday, the Tigers are half a game up on the Orioles for the second wild card with ten games remaining. Despite the ups and downs they experienced over the course of the season, the Tigers are in playoff position at the start of the season’s penultimate weekend. After a one year hiatus, there will be meaningful baseball games all the way down to the wire for the Tigers. Even if they don’t make it into the wild card game, or if they do and get bounced, at most the Tigers will play only a couple of meaningless games. After two and a half months of such baseball in 2015, that is a welcome reprieve. Despite that potential, I’ve had a pretty weird feeling about the team since the hot streak ended in early August: ambivalence. Not ambivalence in the sense that I don’t care, but ambivalence in the sense that the Tigers have met my expectations with eerie precision. When the season started, put the o/u at 86.5, said I thought Cleveland was the slight favorite for the Central, and that the Tigers would be right on the edge of the wild card. That’s not bragging about my predictive abilities, lots of people were in that neighborhood; it’s recognition that your assessment of the team depends a lot on your expectations. The Tigers aren’t disappointing or surprising, they are what we thought they were. At this point, the only way this becomes a particularly memorable team season is if the make it out of the LDS. That’s definitely possible, but it’s not a super likely outcome. This is a slightly above average team having a slightly above average season. I’m trying to get caught up in it, but despite all our talk of the closing window, 2017 is lined up to play out the same. There are no major free agents and it’s likely Ausmus will be back. It wouldn’t surprise me if he gets extended. I started the season with an essay on the importance of Mike Ilitch’s mortality. Ilitch’s age shapes the club’s direction. Hell, it’s defined the organization since 2006. Ilitch is a businessman, who has likely done businessman things that might make us feel slimy if we knew. It’s hard to make billions while remaining a beacon of ethics. But Ilitch as the Tigers owner, during this decade, has been about as perfect an owner as you can ask for in sports. Good intentions don’t guarantee a championship, but the Tigers haven’t been held back by the people in the owner’s box, which isn’t something every team can say. I’ve been thinking a lot about 2009 over the last couple of days. The way that season slipped away at the end, with Cabrera getting drunk and fighting with his wife during the final weekend. The crushing loss in Minnesota that came the following Tuesday. There was so much hope for that team and it came crashing down in just the worst possible way: The team’s best player embarrasing them, losing the division outright, and then a heartbreaker to end all heartbreakers in the worst damn stadium that has ever existed. That last week in 2009 was the most devastating thing sports has ever done to me. I was watching 163 in my dorm and over the course of the game more and more people started filtering in to watch (it started at 5pm eastern, WTF?). When it ended, most everyone got back to their lives, knowing to give me time to grieve. My parents, whom I assume were physically within a dozen feet of each other, called me separately to commiserate. My wife and I had been dating about 6 months at that point. She knew me well enough to know how much that hurt, but maybe hadn’t quite figured out she was signing up for a lifetime of it. She and I went to all the home playoff games in 2011. We watched from NC when Phil Coke spiked his glove and when Torii Hunter flipped over the wall. When Hernan Perez struck out. I’m not totally sure when it happened, but somewhere between 2009 and now, the Tigers winning the World Series moved from something I desperately wanted to something that sounds nice. Frequent playoff trips desensitize you. I’ve gotten older. There are other things happening in my life that matter. In other words, I’ve got decades left of baseball watching and the odds say I’ll watch the Tigers win a title or two. There’s no point in being devastated when they come up short, especially if they played as well as you expected them to. 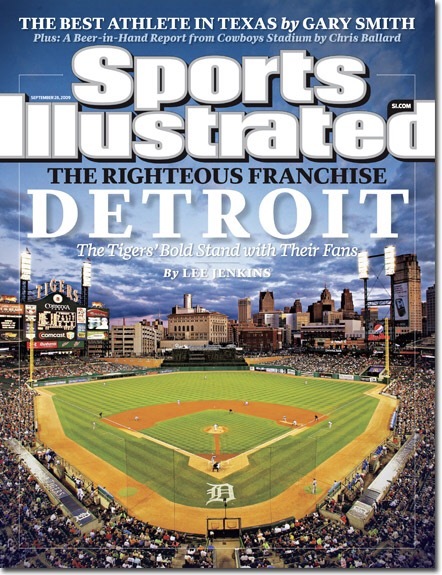 But the story is different for Ilitch, and for other Tigers fans of his generation. It’s a cycle. When you’re young, winning is so important. And then again when you get old, it becomes important again. A final, lasting memory. It would be great if the Tigers got hot, roared into October and won it all. I’m not holding my breath and I’ll be cool no matter what happens. But we’re only going to get a few more years of Mike Ilitch at the helm, and for all he’s poured into the team over the last decade, he deserves his moment of glory. This SI cover is hanging over my desk at home. It’s easy to forget that the team shed payroll after 2009. That last week and the economic turmoil could have sunk the franchise. The pain of the loss and the financial uncertainty could easily been enough to send them team into a deep rebuild. But Ilitch decided to ride it out. It doesn’t make him a mythic figure but as far as owners go, he’s done right by the city and the fans. The 2016 Tigers have met the expectations I had for the 2016 Tigers, but the organization has far exceeded what I thought would come in those waning hours of 2009. At the time, it looked like the end of a fun 2006-2009, but really that was the prelude. 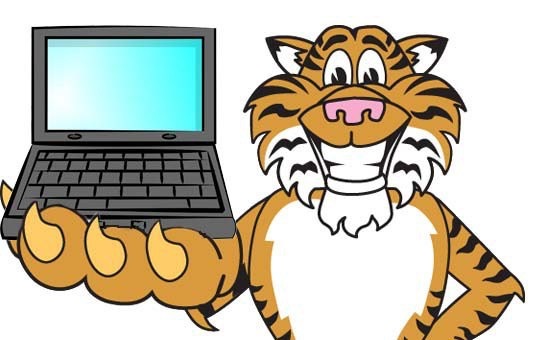 The Tigers, despite the money they’ve spent and the outside factors they’ve confronted, are right in this thing for the fifth time in six years. If you take the long view, that’s one hell of a thing no matter what happens over the next ten days. The one thing about this year that we have not seen much in the recent past is probably the thing I most love about following a professional sports franchise: watching promising kids come up who look like they may be stars. We have three of them in the starting rotation! In the past, with the emphasis on free agent signings, we have not gotten to experience this much. There was Verlander and Nick C (sort of), arguably JD, although he wasn’t home-grown; not much for a decade of watching. But I really cherished watching Lou, Trammel, Morris, Parrish, Petry, and Gibby all emerge more or less simultaneously, or the Bad Boy Pistons–first Isiah, then Laimbeer, Rodman, Salley, Dumars. To me that is the most joyful thing in following sports.